5 Capes. 10 Days. A Lifetime of Memories. Join Dawid and Jasper Mocke as they take you on a journey of adventure and exploration during this paddling expedition of the amazing southern coast of Africa. Together you cannot ask for two better coaches, mentors and tour leaders, who love their paddling and cherish their country. During this trip you will have an awesome paddling adventure and improve your paddling as you are coached by the best. Your journey starts in Cape Town. 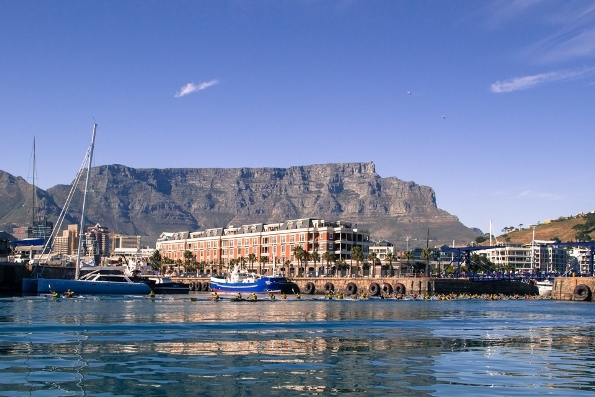 Your adventure journey will start in Cape Town, one the most beautiful cities in the world. You will spend 3 days paddling and exploring the area with Dawid and Jasper as they take you on the famous Millers Run and paddle their favourite training routes. You will climb Table Mountain, one of the 7 natural wonders of the world, visit Boulders beach, a most significant African Penguin colony and enjoy coffee at the Mocke’s favourite spots. 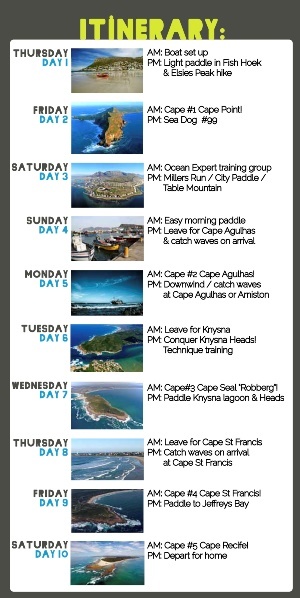 Most importantly, you will be paddling around your first cape, the spectacular and iconic Cape of Good Hope. Paddling around the Cape of Good Hope is unforgettable. You will then load up the skis for the next destination – the bottom of Africa! 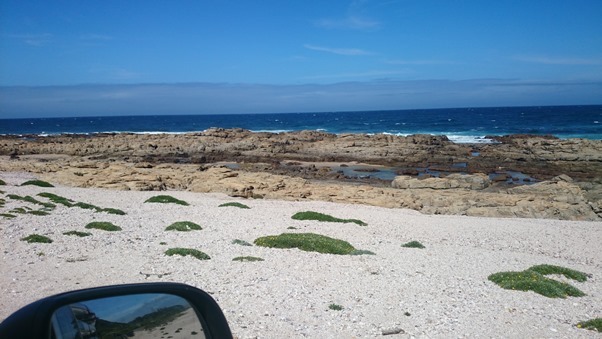 Based from the small coastal town of Arniston (which is a national monument and where locals still live a traditional fishing lifestyle); you will spend 2 days here, the Overberg region, famous for its immense bio-diversity. During your stay you will visit the L’Aghulas Lighthouse, housing South Africa’s lighthouse museum and enjoy a meal at the restaurant at the bottom of Africa. But before lunch you will do a landmark paddle. 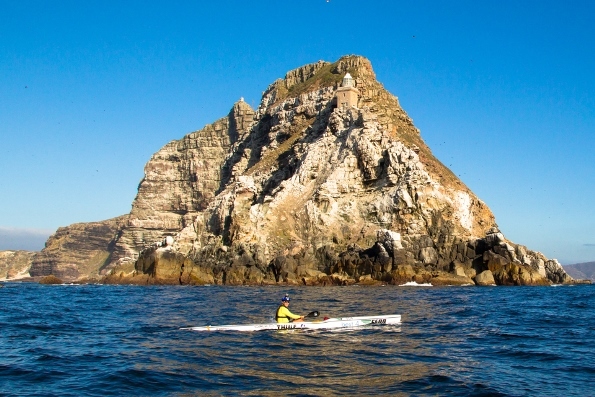 You will paddle around the southernmost tip of Africa – Cape Aghulas – and lay claim to have officially paddled from one ocean to another – the Atlantic to the Indian. This is your second Cape. The adventure then takes the back roads up the coast to the Garden Route. 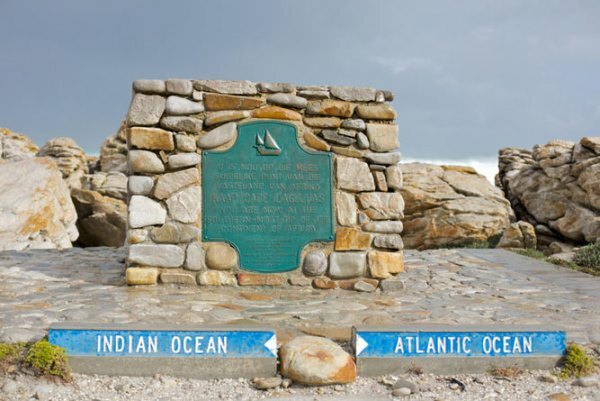 En route you pass through Bredasdorp and visit the shipwreck museum. Your destination is the beautiful town of Knysna. 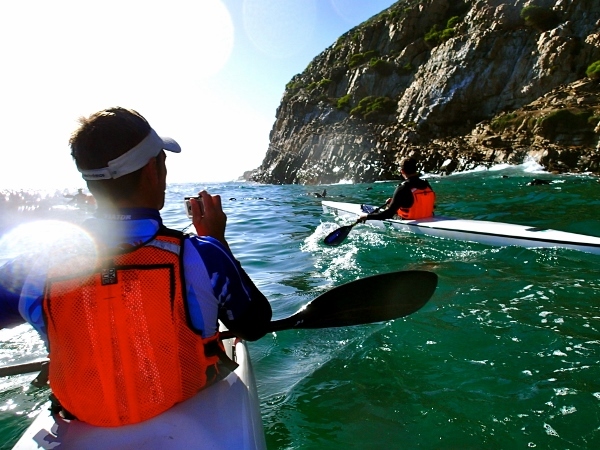 After a training session on the amazing Knysna Lagoon, home to the world’s only estuarine seahorses, you will paddle through the Knysna Heads, an unforgettable experience since it is as if passing through a massive natural ocean gateway. 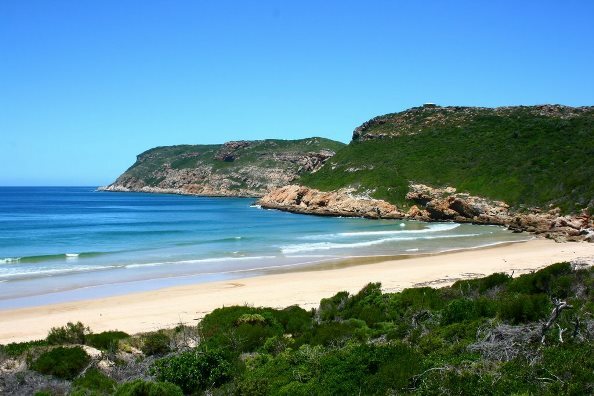 Based in Knysna you will paddle around your third Cape – Cape Seal – the Robberg peninsula, one of South Africa’s most precious marine protected areas and headland leading to Bahia Formosa, Plettenberg bay. Incredible accommodation is a hallmark of this trip. 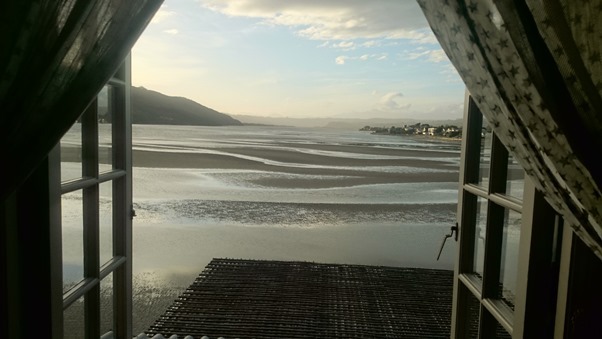 Here’s our view at the Knysna Lagoon. It is then time to head to the Eastern Cape, well known for its down to earth and friendly locals. 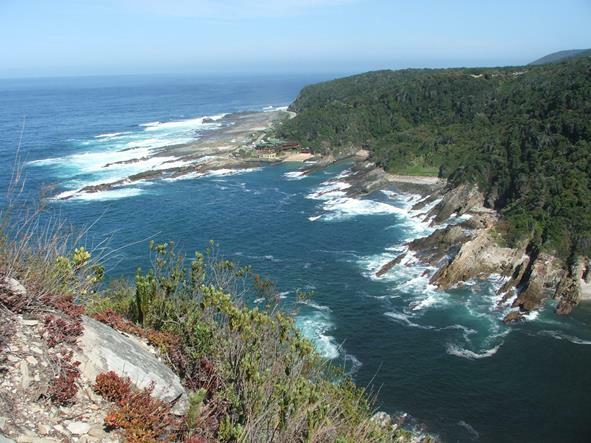 En route you visit the beautiful and dramatic Tsitsikamma forest, do a training session on the mesmerising Storms River and enjoy lunch beside a wild coastline, before continuing up the coast. 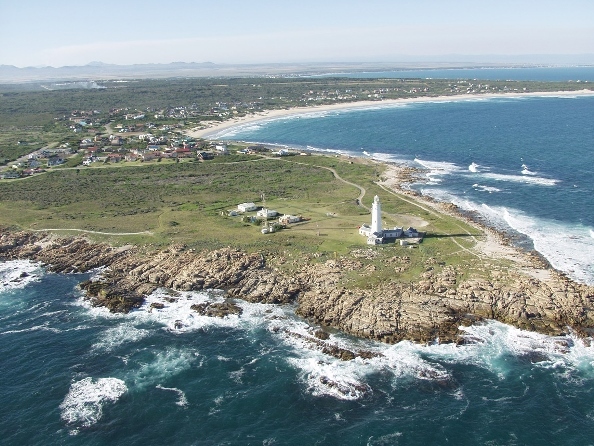 You will be staying in the small coastal town of St. Francis, one of South Africa’s favourite ocean playgrounds and home to the highest mason structure in Southern Africa, the St Francis lighthouse. St. Francis is also near the world famous surfing break Jeffery’s Bay. 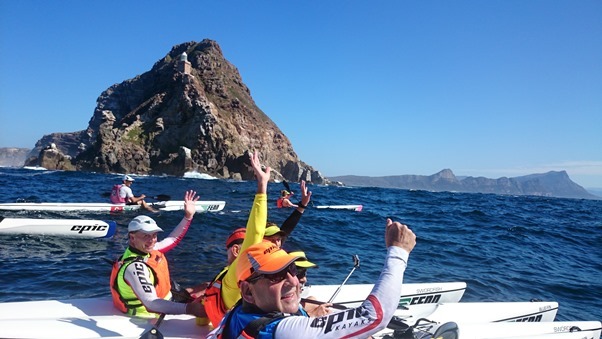 After working on your wave skills at the friendly surf break of St. Francis and some technique coaching on the nearby canals, you will paddle around your fourth Cape – Cape St. Francis. The Cape of St Francis – home to Southern Africa’s largest mason structure. 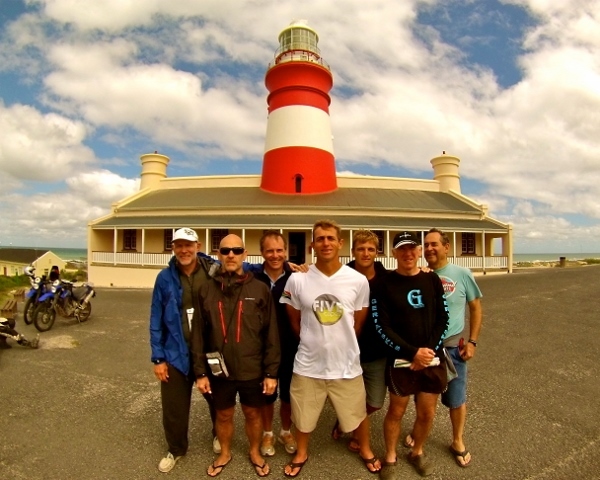 We will then complete our trip to the “Friendly City” Port Elizabeth where you will accomplish and complete the adventure by paddling around your fifth cape – Cape Recife. Here you will also ride the longest surfski wave in the world, with rides sometimes in excess of 2 minutes! The last cape of the expedition & home to the longest surfski wave in the world. Paddling out at Cape Recife, and a 1:45 wave ride the next day, will be unforgettable. Awesome Paddling & much more! You can expect this trip to be filled with much more than just paddling. This part of the country offers not only amazing trails and spectacular mountains and gorges just begging to be explored, but is rich in history and cultural diversity. The short distances between the capes will allow ample time for exploration. All equipment is provided across a range of ability, from racing surfskis to the most stable – you may use whichever you feel comfortable depending on the day. Dawid and Jasper will also bring double skis that are a great way to learn skills and also paddle if conditions get tricky. Leaving the shores of South Africa you will have had an adventure and an experience that precious few, can lay claim to – paddling The 5 Capes, and more, with Dawid and Jasper Mocke. Excludes: Flights to Cape Town, and connecting flights. Dawid Mocke: Dawid is a 4 x World Surfski Series champion (2009-2012) and is the founder of the Surfskischool and the Mocke paddling brand. 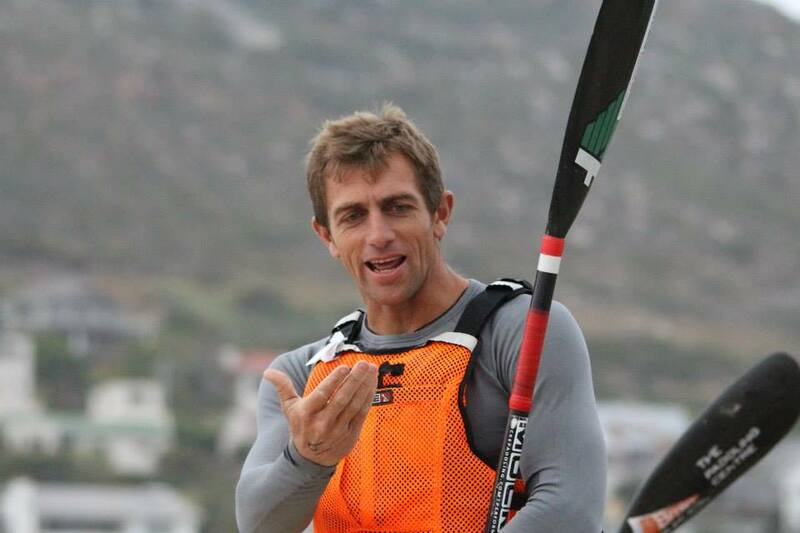 In 2002 Dawid was a team member of the 1000mile Challenge that paddled from Cape Town to Durban including the 5 Capes coast. Always optimistic, his careful, cautious and calculated approach makes Dawid the voice of reason on tour and our tour leader. 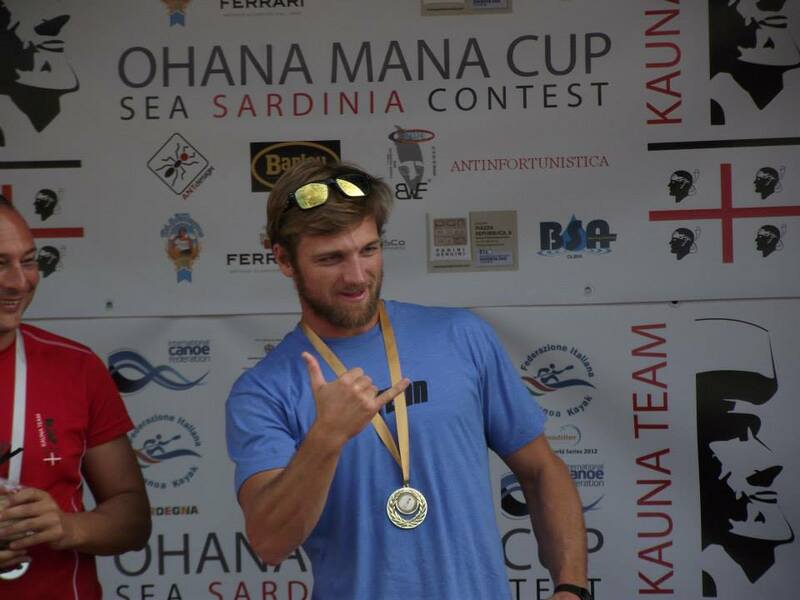 Jasper Mocke: Jasper, a qualified physiotherapist now professional paddler, has multiple international titles and podium finishes across a variety of paddling disciplines from surfski, to flatwater and river marathon. The former National Lifesaving team member and captain, has spent the last 4 years exploring the coastline between Knysna and Port Elizabeth. His sense of adventurous fun and games will ensure never a dull moment while on tour. 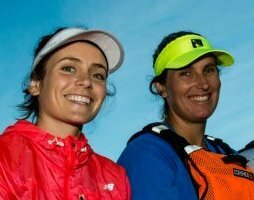 Nikki & Micaela Mocke: Nikki, married to Dawid, is a former Olympian who is well versed in the specific needs of a travelling paddler. Micaela, married to Jasper, is a designer and brand specialist in the fashion industry. She is also well versed in the world of travel. Nikki and Micaela will be taking care of logistics from “Home Base” in Fish Hoek and make sure that various travel arrangements are operating smoothly. They will be taking care of accommodation arrangement and bookings as well as other activities planned.